An earlier version of this article was first published in the Collaborative Council of the Redwood Empire (CCRE) Civil Collaborative Practice Journal. The recent case of Estate of Thottam (2008) 165 Cal.App.4th 1331, 81 Cal.Rptr. 856, has many mediators and collaborative practitioners worried about confidentiality in California. In Thottam, the Court of Appeal found that a mediator’s confidentiality agreement could reasonably be interpreted as a waiver of confidentiality and opened up a complex probate case to potentially expensive litigation. Since most mediators and collaborative practitioners use confidentiality agreements, Thottam is potentially a trap for the unwary. For collaborative lawyers, the difficulties may be compounded by the lack of explicit statutory authority dealing with confidentiality in collaborative cases. These issues are dealt with in this article. Thottam was a probate/trust and estate dispute about the distribution of mom's assets after her death. The siblings/heirs agreed to mediate. "shall not be used in any current or future litigation between us (except as may be necessary to enforce any agreements resulting from the Meeting). . ."
During the mediation, the parties created a chart that sketched out a division of assets. They initialed and signed their names on the chart. As you can see from the copy of the actual chart in Thottam (on the following page) it does not directly refer to settlement. The Court of Appeal's Opinion. Relying on California Evidence Code § 1123(c), the Court of Appeal held the chart was admissible. That statute provides that a "written settlement agreement" is admissible "if the agreement is signed by the settling parties and . . . (c) All parties to the agreement expressly agree in writing . . . to its disclosure." (2) It also decided that the parties had "agree[d] in writing . . . to its disclosure" for the purpose of § 1123(c) when they signed the pre-mediation agreement. To support the latter holding, the Court relied on the language in the pre-mediation agreement that stated that disclosures were permissible as "may be necessary to enforce any agreements." This was so even though the alleged settlement agreement had not existed at the time the premediation agreement was signed. Legal Problems with the Decision in Estate of Thottam. A major problem with the Court's analysis in Thottam is that it is premised on introducing ambiguity into the words "written settlement agreement" in section 1123. For most people a written settlement is not equivalent to a chart, or a memo. It is a more formal document that leaves no question about whether or not the parties have terminated their dispute. The Court's decision thus encourages litigation about whether or not a given document is a “written settlement agreement.” This is contrary to both the letter and the spirit of section 1123, which was drafted precisely to avoid such litigation. Also problematic is the Court's holding that the pre-mediation agreement waived future confidentiality. 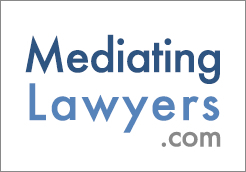 Many mediators and collaborative lawyers use mediation confidentiality agreements; after Thottam they may now become traps for the unwary because courts can construe them to defeat rather than to enforce mediation confidentiality. Judicial Reluctance to Abide by Confidentiality. Thottam is one example among many of the judicial tendency to avoid enforcing the mediation confidentiality statutes. (Cal. Evid. Code §§ 1115 et seq.) Although mediation confidentiality remains powerful in California due to a large number of California Supreme Court opinions strictly enforcing the statutes, many of those decisions arose from a lower court's rejection of the letter or the spirit of the statutes. For collaborative practitioners, it may be useful to consider the underlying reasons for judicial hostility to mediation confidentiality. Some of these concerns might also arise in the context of collaborative cases. One reason some courts appear to be hostile to mediation confidentiality is, quite simply, that when someone asserts the mediation confidentiality bar, they are saying "no" to a judge. This is never a popular stance with judges. Secondly, unlike the attorney/client privilege, which is more or less well accepted, the mediation confidentiality rules do not relate to fundamentally private conversations. They attempt to screen from judicial review a quasi-public event which involves a large number of people. This is counterintuitive for many judges. Thirdly, the mediation confidentiality rules sometimes create injustice or apparent injustice. In Thottam, it is evident that the Court of Appeal sympathized with the party seeking to introduce the chart. It believed he had been unfairly disadvantaged by his inability to get the chart into evidence in the trial court. The Court's stance was especially unusual because the trial court had found the litigant dishonest — a kind of finding courts of appeal are bound to unequivocally accept. Ordinarily, this would have been an unpublished opinion. Finally, as we learned during the litigation of the Rojas case, mediation confidentiality is particularly unpopular when it bars disclosure of evidence to third parties. (Rojas v. Superior Court (2004) 33 Cal. 4th 407.) Many people are offended by the notion that parties to a mediation may cut off access to relevant evidence when that evidence is sought by people who did not attend the mediation but who were impacted by the conduct of one or more of the parties. Protecting Confidentiality in Collaborative Cases. To the extent these considerations apply to confidentiality in collaborative practice, we can expect at least some judicial reluctance to enforce collaborative confidentiality agreements. What follows below is an analysis of some of the problems collaborative practitioners might encounter. Confidentiality in Collaborative Cases: The Importance of Local Rules. Collaborative practitioners often rely on local rules to help them establish the legitimacy of collaborative practice in their local counties. (See e.g. San Mateo County Local Rule 5.5 and Appendix 6, p. 2 (encouraging collaborative practice). These local rules may specifically address confidentiality, but not all do. (Compare Sonoma County Court Local Rule 9.25B, which addresses confidentiality and Los Angeles County Court Local Rule 14.26, which does not discuss confidentiality.). Local rules can be a very strong form of support from the judiciary, at least on the trial court level. However, local rules are subject to unique legal challenges. Absent statutory authorization, trial courts cannot create evidentiary privileges. (Evid. Code § 911; see also Fam. Code § 210 [except as provided by statute or Judicial Council rule, ordinary rules of procedure apply in family law cases]). In Elkins v. Superior Court (2007) 41 Cal.4th 1337, for example, the Supreme Court held that a local rule and trial scheduling order that limited the form of testimony and the presentation of evidence in a family law proceeding were invalid. Trial courts have no power to alter the Evidence Code, the Court explained, and family law trial procedures must conform to California statutory law. Elkins may be distinguishable in collaborative cases because Elkins involved a court-mandated restriction on rights. The clients had not agreed to these restrictions in advance, as they do in collaborative cases. Additionally, in collaborative cases, parties proceed by stipulation and order, a process which provides additional protection. These are good ways to try to distinguish Elkins. Although stipulations and orders may indeed be helpful, however, they may not be dispositive, especially if third parties attempt to penetrate confidentiality after the initial case has settled. There was a case management order and stipulation in the Rojas case, but the Court of Appeal did not find it case dispositive. (See Rojas v. Superior Court (2004) 33 Cal.4th 407, 412, and the underlying court of appeal opinion at 102 Cal.App.4th 1062, which was reversed in Rojas). For starters, Evidence Code § 1152 and 1154 may be useful. These are the settlement privileges. (See Caira v. Offner (2005) 126 Cal.App.4th 12 (email among siblings in family business dispute properly excluded from evidence as settlement offer). Family Code Section 2013 as an Enabling Statute. California Family Code section 2013 might also provide authorization for relevant local rules and for collaborative practice confidentiality. Section 2013 provides that "if a written agreement is entered into by the parties, the parties may utilize a collaborative law process. . ." A "collaborative law process" is defined as, among other things, a process designed to avoid "resorting to adversary judicial intervention." (Section 2013(b).) Family law collaborative practitioners can thus argue that confidentiality is implicit in the authorization of a "collaborative law process" pursuant to the parties "written agreement." (Family Code § 2013.) The Legislature intended to sanction the standard terms of a collaborative process agreement, according to this argument, including terms requiring confidentiality. Still, the authorization under this argument would be implicit, rather than explicit. And it would require proving that confidentiality terms are a standard part of collaborative process agreements, which might be cumbersome. Another approach might be grounded in waiver. Section 2013 implicitly and explicitly authorizes the parties' agreements. It could therefore be argued that Section 2013 demonstrates a legislative intent that courts enforce parties' agreed waivers regarding use of evidence in later proceedings. In most cases, this comes to the same thing as a positive, direct prohibition on the use of collaborative process evidence. This is not, however, a question of creating a new privilege. It is simply a matter of enforcing collaborative process agreements. Therefore, arguably, it escapes the Elkins rule and the ban on the creation of new evidentiary privileges. Whether these arguments would be strong enough to defeat a discovery request by strangers to the collaborative process would, however, be a tougher question. The following are some suggestions that may help increase the enforceability of confidentiality agreements in mediated and collaborative law matters. 1. Continue to use confidentiality agreements. At least theoretically, contractual confidentiality should provide contractual remedies for breach of confidentiality not available under the statutes, e.g., specific performance or damages. Confidentiality contracts do, however, help commit the parties to the confidentiality of the process. To the extent that Elkins introduces uncertainty about confidentiality in collaborative cases, contractual confidentiality may help to distinguish collaborative cases from the Elkins situation. I also believe that in family law matters, as opposed to mass tort cases or other matters impacting many people who never agreed to or never participated in the collaborative process, courts will be more inclined to honor a toughly worded confidentiality agreement. 2. Keep the agreement to mediate and the agreements regarding confidentiality simple. After Thottam, it may be safer not to stray too far from the language of the mediation confidentiality statutes when drafting these agreements. Parties can always revise a strongly worded confidentiality agreement later if they choose. 3. Do not equivocate or make exceptions in confidentiality agreements. This was the defect in the premediation agreement in Thottam. 4. For family law matters, include a specific agreement to be governed by any relevant local rule, and a waiver of any objection to the rule. A mediator for this purpose need not be a tough guy, settlement type of figure. Under Evidence Code section 1115, a mediation is "a process in which a neutral person or persons facilitate communication between the disputants to assist them in reaching a mutually acceptable agreement." (Evid. Code § 1115, emphasis supplied.) A facilitator would thus be a mediator under California law. Under Eisendrath v. Superior Court (2003) 109 Cal.App.4th 351, it is also not necessary for a mediator to be present for a mediation-related communication to fall under the confidentiality bar. Thus, arguably, a collaborative session could still be confidential even if the mediator were not present. In short, a mediator/facilitator sensitive to the collaborative law process may not only be helpful to the process, but may help insure confidentiality. 6. Consider many sources of confidentiality. As noted above, the settlement privileges found in Evidence Code §§ 1152 and 1154 may apply. (See Caira, supra, but see also Zhou v. Unisource Worldwide (2007) 157 Cal.App. 4th 1471 (letter itemizing what sender thinks recipient owes him is a bill rather than a settlement offer). The reality is that courts will strive to avoid enforcing confidentiality agreements when it would be unjust to do so. This is human nature. It is the way the law works. It may also be public policy in some cases. (See e.g. Code Civ. Proc., § 2017.310 (public policy disfavors confidential settlements in elder abuse cases). Accordingly, being fair and judicious in one's assertion of confidentiality may be more important in the long run than the nuances of the law. Confidentiality is an essential element of collaborative practice and mediation. Maintaining our understanding the rules relating to confidentiality is important for our clients. Elizabeth Bader © 2009, All Rights Reserved. Printed by permission.